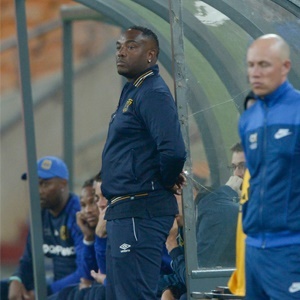 Cape Town - A tightly-contested derby went the way of Cape Town City as they ran out 2-0 winners over Ajax Cape Town in a PSL encounter on Saturday afternoon. Although the opening stages were lively and end-to-end, it took 15 minutes for the first goalmouth action to arrive as Ajax keeper Brandon Peterson pushed the ball around the post after Roscoe Pietersen's attempted clearance had been miscued. Ajax had their first opportunity 10 minutes later, but City keeper Sage Stephens did well to tip Rodrick Kabwe's free kick over the bar. The Citizens enjoyed a period of good play midway through the half and they took the lead when Victor Obinna brought down Ayanda Patosi's cross on his chest before stabbing the ball past Peterson. The Urban Warriors had a great chance just before the break to restore parity when a Thabo Mosadi corner picked out Pietersen at the back post, but his radar was off as the header was steered wide. Craig Martin should have doubled City's lead five minutes after half time, but he headed over from close range after a great cross from Lyle Lakay. Ajax looked to have been denied a clear penalty a minute later after Tercious Malepe went down under a challenge from Taariq Fielies. The Urban Warriors worked hard to try and get back into the match, but they battled to break down a determined Citizens rearguard. Somewhat against the run of play, City made quite sure of the three points when Judas Moseamedi's low shot at the near post squeezed under Peterson and over the line two minutes before the end of regulation time.